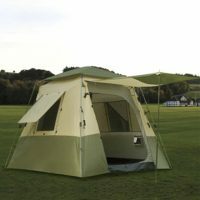 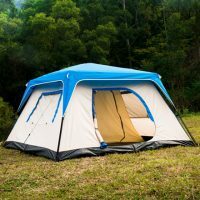 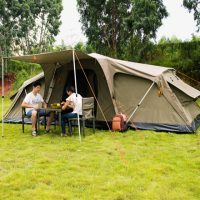 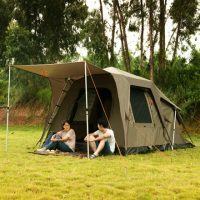 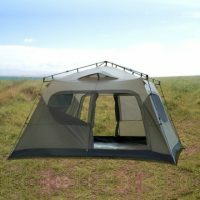 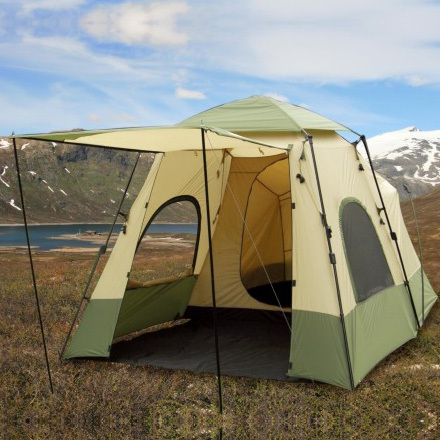 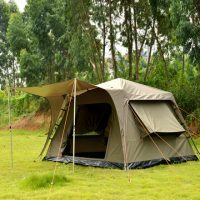 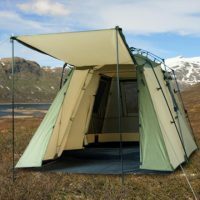 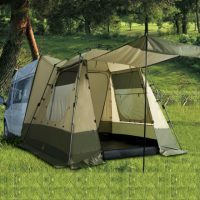 Fleet Tent 420 - Q-Yield Outdoor Gear Ltd. 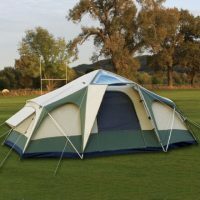 Living room with detachable floor, one double layer entrance, two double layer semicircular windows, and four triangle mesh panels on top to make it with good ventilation. 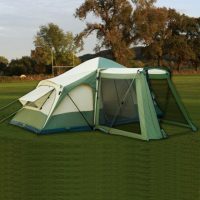 The top mini fly protect the hub system.